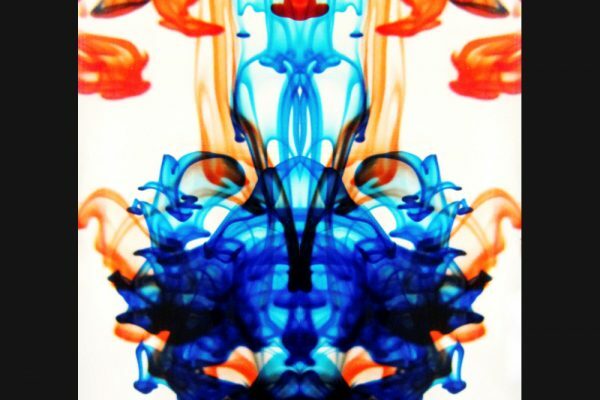 Dyed mineral oil injected into clear mineral oil forms layers of vortex rings. 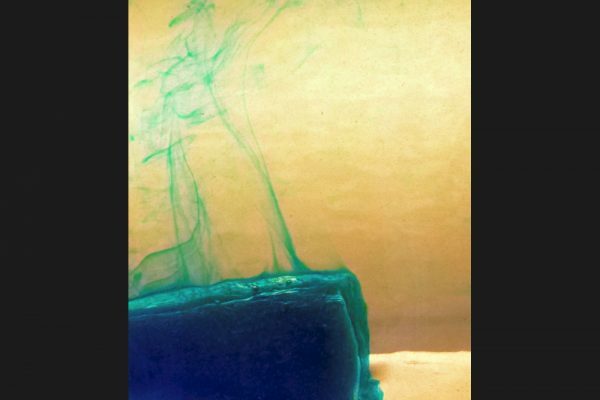 Food dye falling through water exhibits the Rayleigh-Taylor instability. 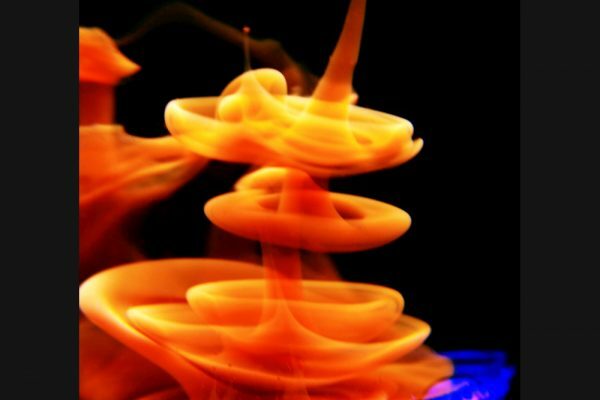 A snake and eagle can be seen as tea falls from a tea bag due to the Rayliegh-Taylor instability in this inverted image. 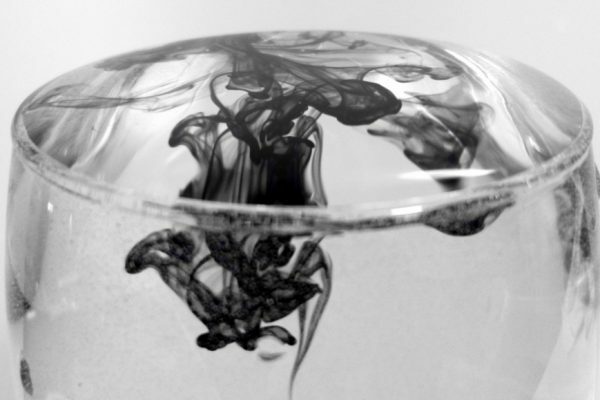 Iodine forms multiple vortex rings as it falls through water after falling through canola oil. 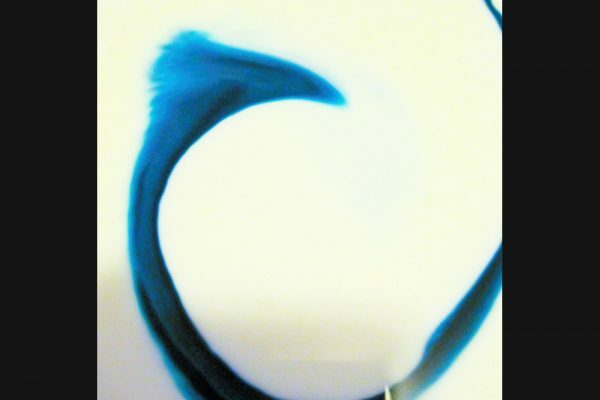 Food dye exhibits the Rayliegh Taylor instability, forming toroidal vortex rings in a mirrored image. 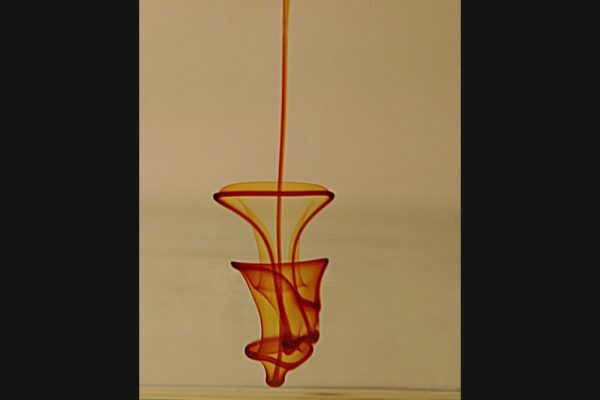 Food dye dropped into water exhibits the Rayleigh-Taylor instability, forming vortex rings as it falls. 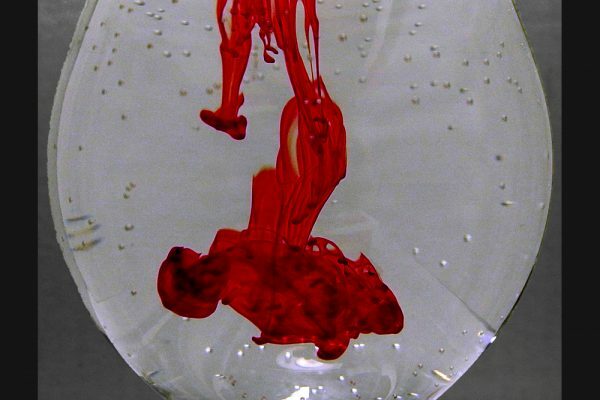 Water and glass act as lenses for observation of food dye in water. 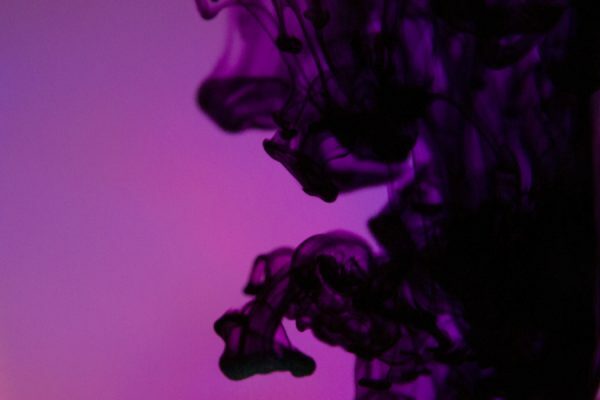 Food dye falling through water is reflected in the water surface when viewed from below. 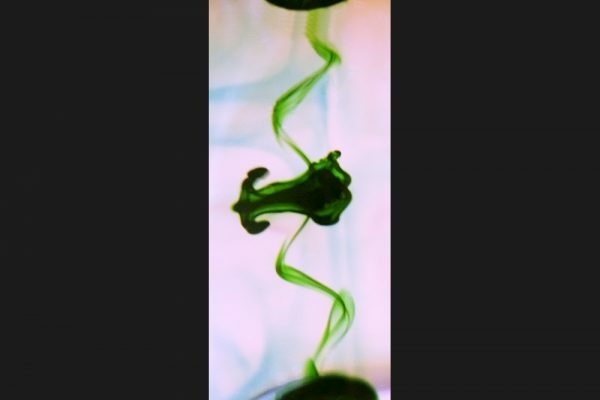 An upside-down image of a dyed ice cube melting in water illustrates the Rayleigh-Taylor instability. Food dye follows the wake of a finger in milk.